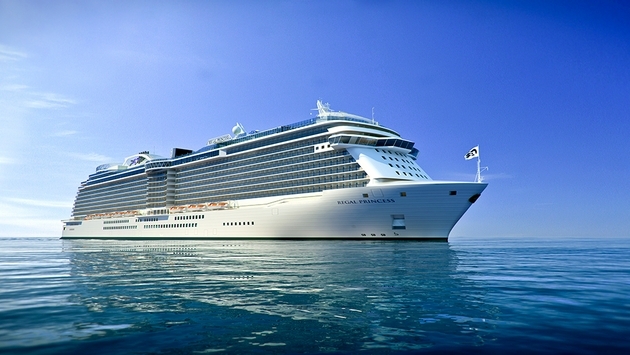 To commemorate the upcoming debut of its new ship Regal Princess, Princess Cruises is offering a cruise sale with special gifts on more than 100 itineraries, including voyages during Regal Princess’ maiden seasons in the Mediterranean and Caribbean. During the Regal Princess Inauguration Sale, which runs through June 3, guests can join the celebration with festive extra touches to enhance their vacation. Guests can toast the new ship or their own special occasion with a free bottle of the renowned Nicolas Feuillatte French champagne, as well as receive stateroom location upgrades and a reduced deposit. The sale allows guests to be among the first to experience the new cruise ship aboard voyages during Regal Princess’ maiden season in the Mediterranean this summer, or when she arrives stateside this fall for her maiden Caribbean season. Guests can also choose to celebrate with a cruise vacation to other destinations including the Caribbean, Canada and New England, Mexico, Panama Canal, California Coastal, Tahiti, Hawaii, and Asia. 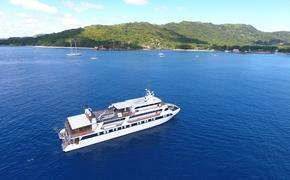 Guests booking voyages five days or less will enjoy a special reduced deposit of $50 per person during the sale, or $100 per person for longer voyages. All cruise prices are per person, based on double occupancy. The Inauguration Sale runs through 11:59 p.m. PDT on June 3, 2014 and is available to residents of the United States, Canada, Puerto Rico and Mexico. Regal Princess, a sister ship to Royal Princess set to sail May 20, 2014, will offer its 3,560 guests a variety of enticing features, including a soaring atrium, the social hub of the ship; a dramatic over-water SeaWalk, a top-deck glass-bottomed walkway extending more than 28 feet beyond the edge of the vessel; plush private poolside cabanas; the Princess Live! television studio; a dedicated pastry shop; a special Chef’s Table Lumiere, a private dining experience that surrounds diners in a curtain of light; and balconies on all outside staterooms.